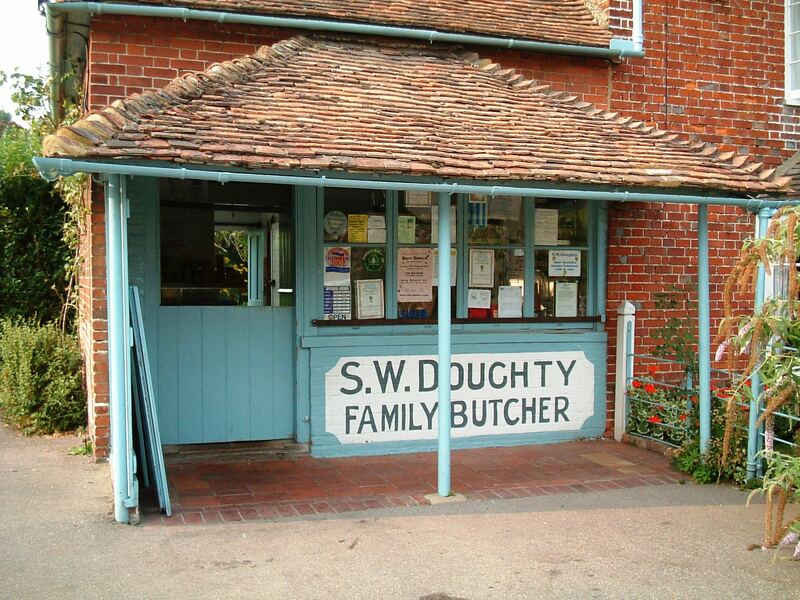 For over 100 years the Doughty family have been serving families and businesses in the local area. 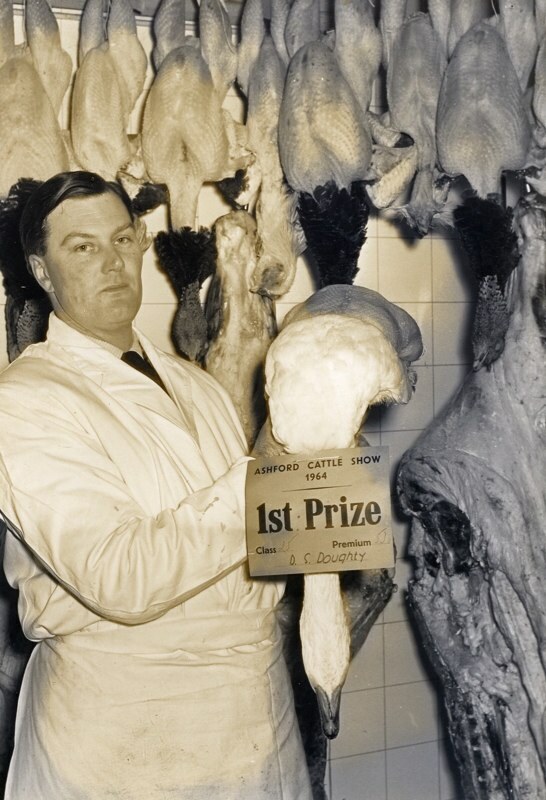 From the time of our Great Grandfather Thomas Doughty as postmaster and butcher in Eastling to the present day at the butcher’s shop in Doddington the family have enjoyed a key role in the heart of the community. 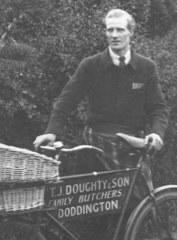 It was in 1919 when Thomas bought the shop in Doddington, for his sons Stuart and Bill, that the Doughtys came to Doddington. 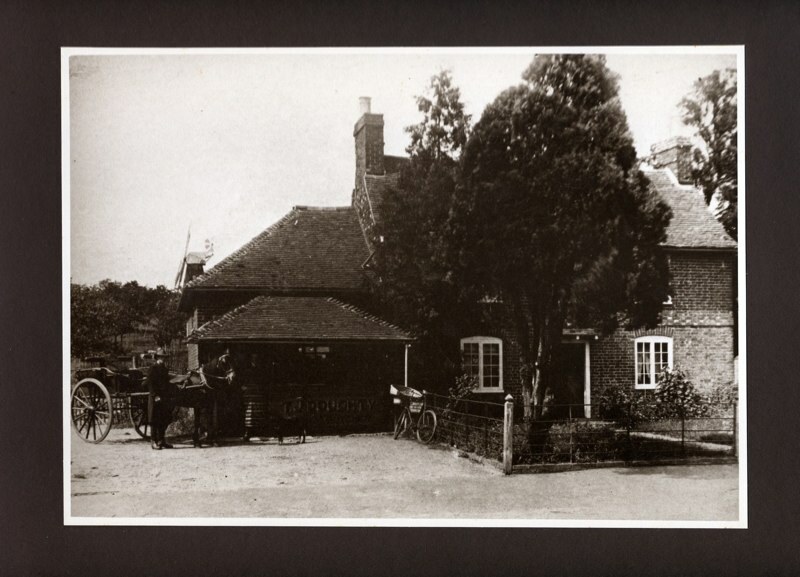 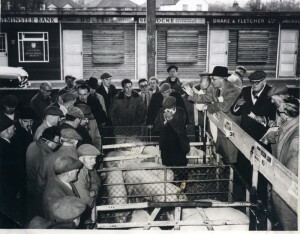 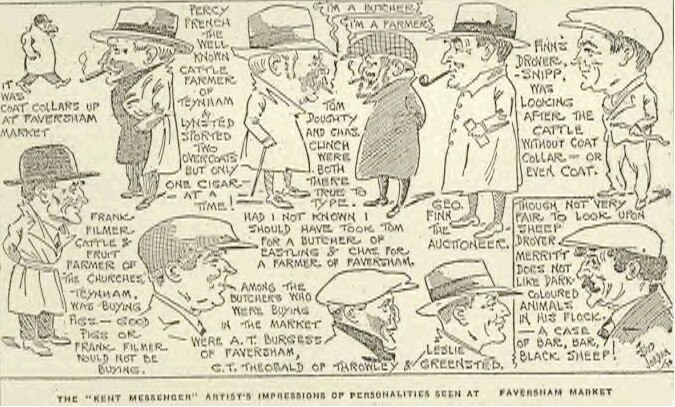 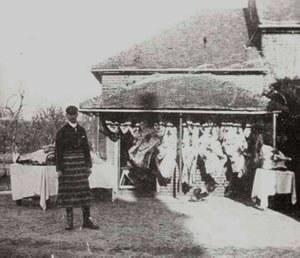 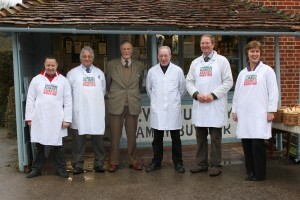 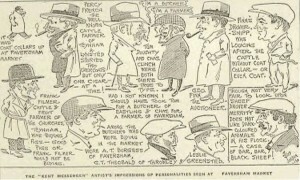 There had been an abbatoir and butchers on the site since Georgian times and the opening of another shop in a neighbouring village provided useful employment for two sons returning from the First World War .In those days cattle were bought at the local market in Faversham (see the cartoon below featuring Thomas) and walked back to Doddington. 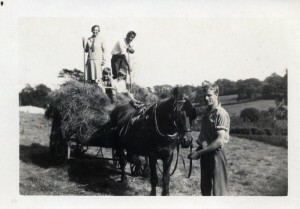 Deliveries from the shop were by either bike or horse and cart. In 1951 when our grandfather Stuart died, his wife Edith and our father Douglas and mother Madeline continued to run the business until their retirement in 1996. 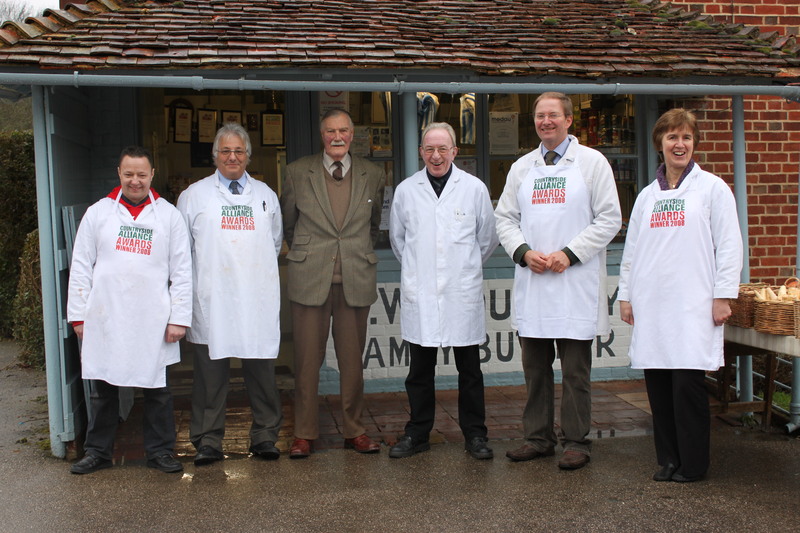 Since then, with the support of the hugely experienced team that worked alongside our father, Bruce Terry and Barry we have continued to run the business to the present day. In 2009 we were fortunate to gain a North Kent Downs Leader grant to enable us to expand and improve our meat processsing and packing facilities, and this has proven a useful complement to the private home kill facilities that we are still able to offer local farmers and smallholders.The small shop that is attached to the house is still very much as it was all those years ago wth the meat hooks still hanging outside under the awning! 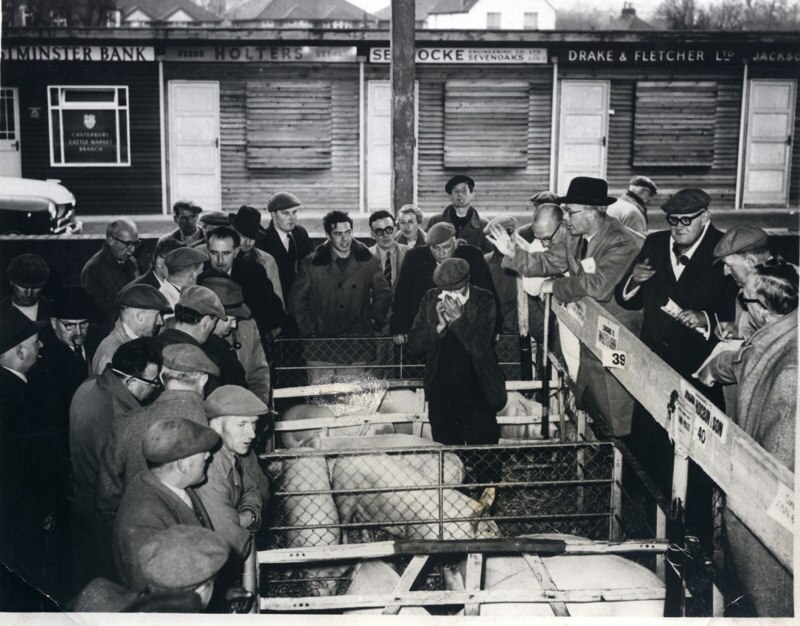 We continue to welcome customers on a daily basis from across a much wider catchment area and look forward to celebrating our centenary in 2019. 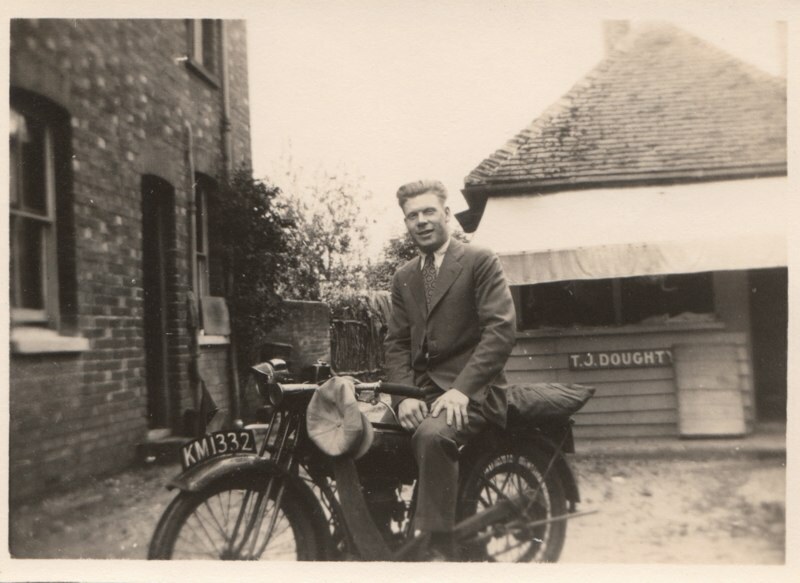 Ronald Doughty visiting the Eastling Shop from America in the 1930’s. Ronald was T J Doughty’s nephew (thanks to our cousin Winona Kissinger from Philadelphia for providing this photo). 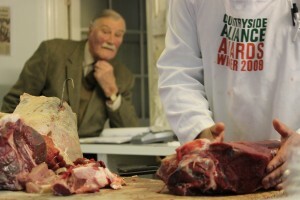 Our Father still likes to oversee all that is going on,inspite of his advancing years!